SAGE India Digest: How essential it is for an interviewer to be vigilant about his part as a questioner! How essential it is for an interviewer to be vigilant about his part as a questioner! An interview is a one-on-one conversation with one person acting in the role of the interviewer and the other in the role of the interviewee. It might appear to common people that it is a difficult task on the part of an interviewee and a very easy one on the part of an interviewer. But it is not really so, there are certain diplomacies in an interview which an interviewer must follow to keep the session an interactive and successful one. 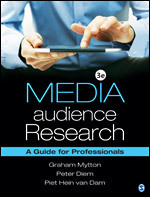 A recently published title “Media Audience Research” presents some worthy guidelines for an interviewer to follow. The interviewer scrupulously follows the rules and says nothing apart from reading the questionnaire verbatim, there is still a tendency for the interviewer’s expectations to have an influence on the way responses are interpreted and recorded. There are two ways of minimizing this bias. The wording of questions needs to be as neutral as possible to avoid giving the respondent the impression that certain answers are expected. Second, interviewers need to be thoroughly trained to maintain a self-critical awareness of the twin dangers of influencing interviewees, and of a subjective interpretation of responses. The manner and tone of voice, even the ‘body language’ or posture of the interviewer can be a big influence. The questions should be asked in a tone of voice that does not communicate your personal views to the respondent. The book also highlights various other ways in which interviewer bias can intrude. For example, the interviewer may think it is pointless to ask all questions to everyone but beware of making any assumptions about anyone. The golden rule in research is ‘don’t ever make any assumptions about anybody, anywhere’. Politeness and courtesy are very important. The interviewer needs to treat the person interviewed with care and respect. Clashes of class, caste or ethnicity should never have an impact on the interview as this will certainly be of help for your interaction to go a lot more smoothly. To know more about such useful guidelines for conducting research in all forms of media, get your copy now! The best blog I have read so far. It is very informative. It brings out the detail report of the interviewer. Thank you for posting such good information, it will be of help to many people. Keep up the good wok.